Creating awesome websites is my passion. I have been working as a web designer & developer for more than 3 years. I learned graphic design before I learn to code and that really helped me to create fancy websites. I have more than 5 years of experience in Photoshop and Illustrator. 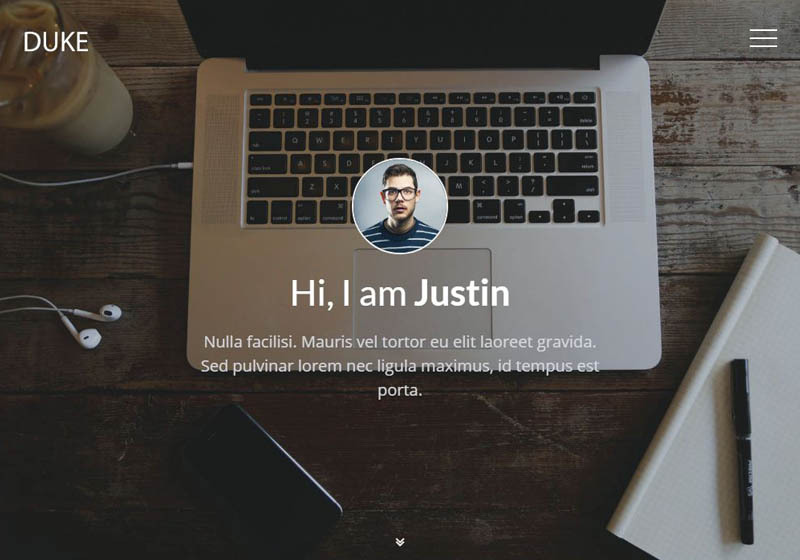 Duke is a simple masonry blog theme with a nice parallax effect. An embeddable Instagram widget that gets a live feed from the specified Instagram account. The widget is infinite scroll until all feed on the Instagram account is shown. Every two images, there's an ad appears which code is added by the client. Every image is can be expanded in a nice lightbox. 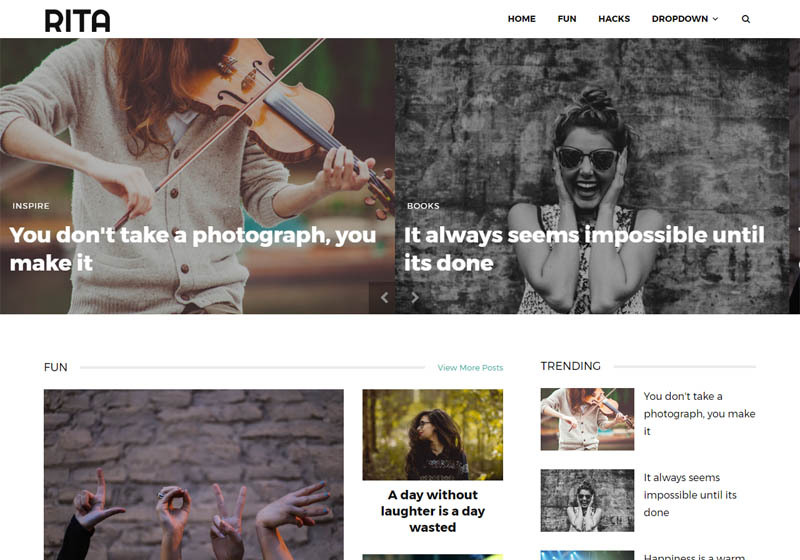 Rita is a modern and unique magazine theme, with clean design and customizable colors and fonts. It contains a lot of ways to display the content. 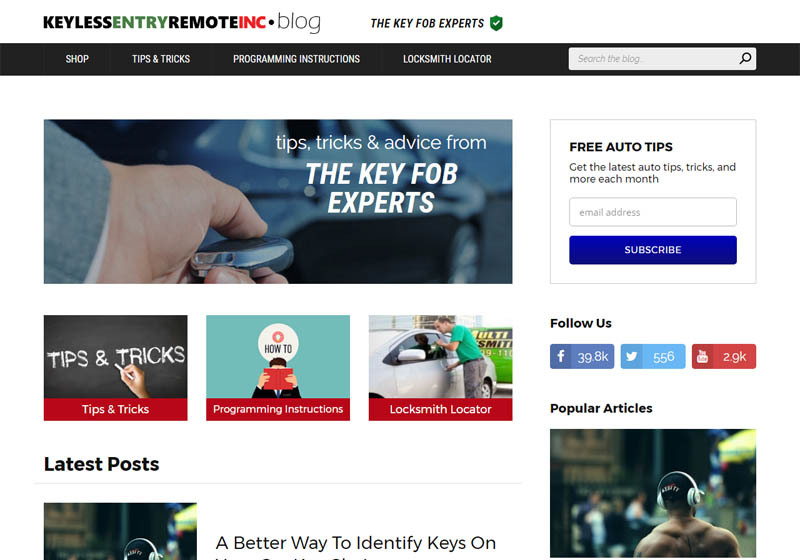 A custom blogger template for Keyless Entry Remote Fob. 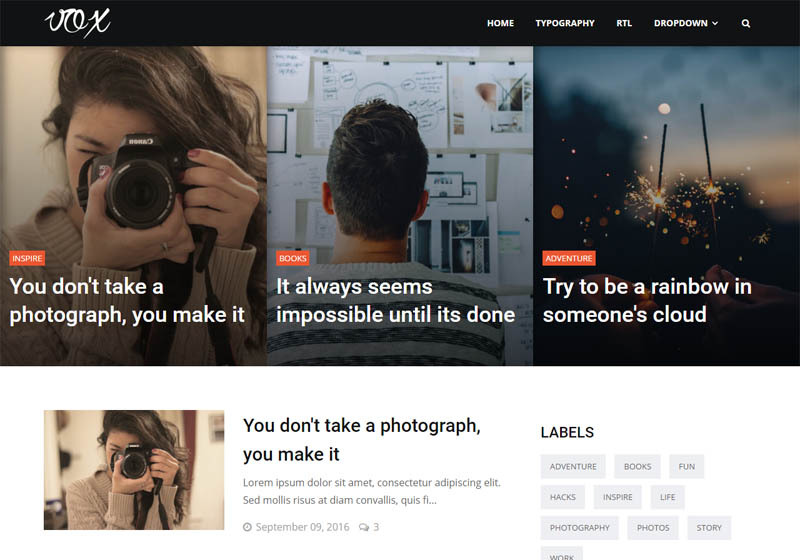 Vox is an elegant, responsive blog/magazine template developed specifically for magazines and blogs. It shows your content in a simple and unique way that will make your visitors enjoy your blog and have the best user experience. 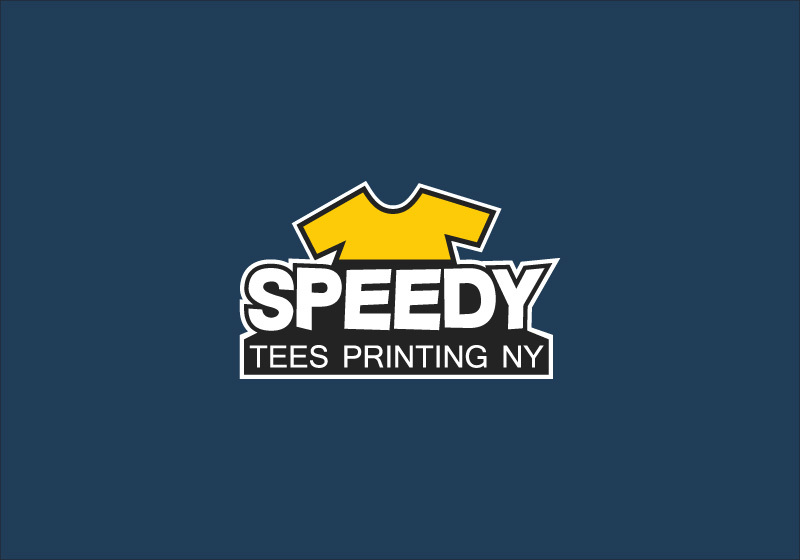 A logo for Speedy Tees Printing New York. I will be really happy to hear from you.